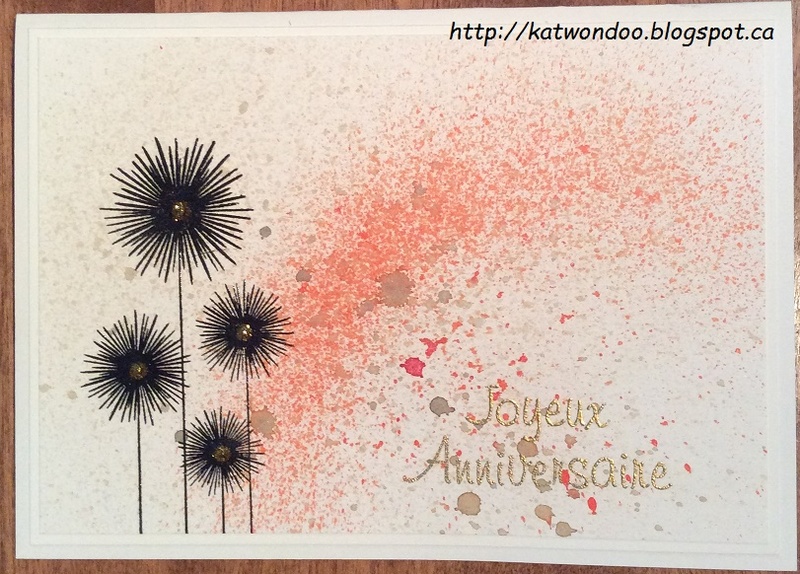 Today, I made another birthday card, using both of my Lindy's Stamp Gang sprays. I stamped some flowers and added Stickles inside them for more sparkle. Stamped and embossed my sentiment in gold to match the center of my flowers. A fabulous card, a beautiful splattered background with beautiful flower and gorgeous details!! Very pretty card. Love that gorgeous splattered background. Thanks for playing along with us at Seize the Birthday! I really enjoyed the casual look and the splatter on this card. Thanks for joining us at Seize the Birthday this!